Sherry – A fortified wine made from white grapes near the town of Jerez, Spain. Also known as “vino de Jerez”. Sherry had been established in Spain for hundreds of years, but didn’t start to get the recognition it deserved until Francis Drake overtook Cadiz in 1587. The English and Spanish were at war and Cadiz was considered Spain’s most important sea port. Drake conquered and found some amazing styles of wine and decided to take back 2,900 barrels of Sherry to England. Thus creating a new crowd pleased with a new Spanish spirit. In Europe, “Sherry” is a protected Denomination of Origin (D.O.M.). By Spanish law, all wine labeled as “Sherry” must come from the Sherry Triangle. The Triangle is located in the Province of Cadiz between #1 – Jerez de la Frontera, #2 – Sanlucar de Barrameda and #3 El Puerto de Santa Maria. In 1933 the Jerez D.O.M. was the first Denomination to be officially recognized and it was officially named Denominacion de Origine Jerez-Xeres-Sherry. It shared the same governing council as Denominacion de Origine Manzanilla Sanlucar de Barrameda. Sanlucar was well-known for their Manzanilla Sherry at this time. Today you will still see some Sherries labeled as “sack” which comes from the term “saca” which means “a removal from the solera”. Albarizo – This is the lightest of the three soils used in Sherry production. It is almost white in color, this is due to its consistency of 40-50% chalk. The remainder of this soil is made up of limestone, clay and sand. Due to its make up, Albarizo holds water extremely well during the 300 days of sunshine in this region. It is also the best for growing Palomino grapes. Due to the white color of the soil it reflects the sun back up onto the grapevines which aids in photosynthesis and growth. Barros – This is a dark brown soil. It consists of 10% chalk with a high clay content. It is mainly used for Pedro Ximenez and Muscatel. Arenas – A yellow tinged soil. Consists of 10% chalk with a high sand content. Also mainly used in Pedro Ximenez and Muscatel production. By Spanish law, 40% of all grapes in a Sherry must come from Albariza soil. Sherry can be made from 3 different types of grapes. 1. Palomino – The dominant Sherry growing grape in Spain. 90% of the grapes grown in the Sherry Triangle are Palomino. It is preferred to be used in Sherry production due to its neutral flavor quality which makes it a perfect influence to develop flavors in. 2. Pedro Ximenez – Traditionally used to make sweet wines. The grapes are harvested and are dried in the hot Spanish sun for 2-3 days to concentrate the sugars in the grapes. This grape is the basis for a lot of Cream based Sherry. 3. Moscatel – Also known as Muscat, it is very similar to PX (Pedro Ximenez). Mainly used to make sweet dessert wines and Sherries. Muscatel is also the base grape used to make Pisco and Metaxa. These grapes are usually harvested around September and then they are pressed to create a Must. 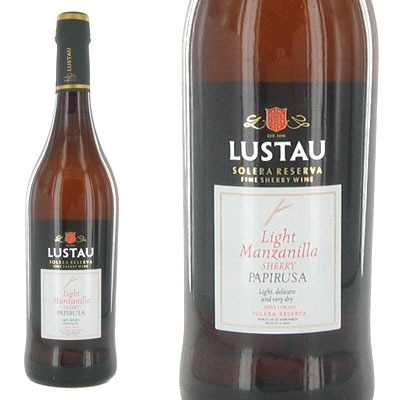 There are two pressings and each one is unique to the style of Sherry that they will produce. First Pressing – “Primera Yema” is used in Fino and Manzanilla Sherry production. Second Pressing – “Segundo Yema” is used to make Oloroso Sherry. After the pressings, the Must is then fermented in stainless steel vats and will be aged until the end of November. The resulting product from the fermentation is a white wine with an alcohol content of 11-12%. Sherry is fortified by using distillado made by distilling wine. Sherry is typically fortified with a Brandy. Fermentation will usually be complete before the addition of the Brandy as in with Port manufacturing, it is fortified half way through the fermentation process to keep the Port sweet in flavor. Since there are many different styles and types of Sherry, there are also several methods of storing and fermenting it. / :: A single stroke or slash on a barrel means that the wine in the barrel has the finest flavor and aroma for a Fino or Amontillado Sherry. It is fortified up to 15% alcohol to allow Flor growth. Usually anything under 13% alcohol can turn into vinegar. /. :: A stroke with a dot next to it means that the wine is heavier and full-bodied. It will be fortified to about 17.5% alcohol to prevent Flor growth and it will age oxidatively to produce and Oloroso Sherry. // :: Two slashes mean that the wine in the barrel will be allowed to develop more before determining its use in either an Amontillado or an Oloroso. It is typically fortified to 15% alcohol. /// :: Three slashes mean that the wine in the barrel has developed poorly and it will be distilled. Once each wine has been chosen for the Sherry it will be used for it will then be mixed with a mature Sherry. This makes a 50/50 blend called “Mitad y Mitad” which means “Half and Half”. The mature sherry is then mixed with the younger sherry to produce the proper proportions. The reason behind this is to gentle mix the mature and young Sherries together so the alcohol won’t shock and destroy the younger aged Sherry. Once the wine has been fortified, it is then ready to be aged. The fortified wine is stored in 600 Liter casks made from North American oak. American Oak is less porous than other types of oak and is more suitable for Sherry production. The barrels are filled 5/6th full to allow room for Flor growth. The Sherry is then aged in the “Solera” system. This system usually consists of three to nine barrels to move the Sherry from top to bottom in the barrels. The wine is moved from barrel to barrel by a Canoa (Canoe)or Rociador (Sprinkler) so the layer of Flor will not be damaged and ruin the Sherry. The wine in the barrels must be aged in the Solera system for a minimum of three years. The Solera system is fantastic to make Sherry with because it achieves a consistent taste and blend for bottling. This is the palest and driest of all Sherries. It is aged in barrels under a cap of Flor Yeast to prevent contact with the air (oxidation). It is then fortified to approximately 13.5% alcohol. Fino Sherry can come from anywhere in the Sherry Triangle. Flor Yeast is a film of yeast on the surface of the wine in the barrel. This is extremely important in Sherry production. When making Sherry, barrels are filled 5/6th of the way full with young wine to allow “the space of 2 fists” empty to allow Flor yeast to take form. The bung on the barrel is not completely sealed as well. Fino Sherry tastes like salty air due to where it is aged along the coast. The Flor gives the Sherry a taste of baked bread. Fino and Manzanilla Sherry are the only two types of Sherries aged completely under Flor Yeast. Manzanilla Sherry is a light variety of Fino Sherry. It is made around the port of Sanlucar de Barrameda. Its name comes from Chamomile Tea, which also hints at to what it might taste like. Manzanilla is pale, dry, salty, floral, nutty and has a fresh delicate flavor. Due it being stored along the coastline, the cool temperature and high humidity make it perfect to allow Flor to grow in high quantities. One particular Sherry, Bodegas Hidalgo, La Gitana Manzanilla has to be aged in Bodegas in San Lucar, where it get a lot of ocean air contact which you can taste in the spirit. Manzanilla Pasada – Aged approximately for 7 years so the Flor begins to fade. It has undergone extended aging and it’s partially oxidized. This lends a rich, nuttier flavor. 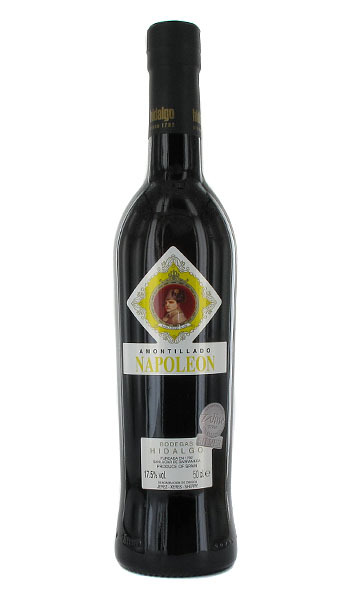 Manzanilla Amontillada – Aged as long as 12 years. It begins to build a similar flavor and color profile to Amontillado Sherry. Manzanilla Olorosa – A rich flavorful form of Manzanilla. It begins to take on the qualities of Oloroso Sherry through extended aging. Jerez Cortado – This is a Palo Cortado made from Manzanilla. Amontillado first originated in the Montilla Region in Spain in the 18th Century. This is why Amontilla means “in the style of Montilla”. This Sherry is first aged under Flor and then it is exposed to Oxygen. It is darker than a Fino, but lighter than an Oloroso. It is naturally dry, nutty, but is sometimes sweetened. It is fortified approximately to 17.5% alcohol. This is done so it will not oxidize too quickly. It is exposed to oxygen in American or Canadian oak barrels to give it its rich color and flavor. Fino Amontillado – A wine that has begun transformation from a Fino to an Amontillado, but has not been aged long enough to complete the transformation. Amontillado del Puerto – An Amontillado made in El Puerto de Santa Maria. It’s located along the Guadalete River in Cadiz, right on the Atlantic coast. VOS: Very Old Sherry. This type of Sherry needs to be aged a minimum of 20 Years. VORS: Very Old Rare Sherry. This type of Sherry needs to be aged for a minimum of 30 Years. An Oloroso is aged oxidatively longer than Fino or Amontillado Sherry’s. This brings out the rich, viscous, smooth flavor and dark colors. It is naturally dry, but can also be sweetened. It has about 18-20% alcohol level which makes it the most alcoholic of all Sherries. Flor is suppressed by fortification at an early age, so there is no yeast like taste in this Sherry. Both Oloroso and Amontillado Sherries are fortified to limit the growth of Flor and undergo oxidative aging. It is also aged in American or Canadian oak barrels. East India Sherry – A style of sweet Sherry aged in hot, humid cellars to simulate tropical weather and aging during long ocean voyages. Palo Cortado is a variety of Sherry aged like an Amontillado, typically 3 to 4 years, but it develops like an Oloroso. This is due to the wine losing its Flor. What happens is both a biological and oxidative type of aging. When making this wine, the wine maker leaves a cut mark on the barrels, this Palo Cortado means “cut stick” in Spanish. The greater amount of cuts on the barrel, the longer it has been aged. This style of Sherry is also fortified to 17.5% alcohol. The Sherries are made by fermenting dried Pedro Ximenez or Muscatel grapes. They come out very sweet and dark brown or black in color. These can also be used as the basis of Cream Sherries. They are very intense in flavor, viscous, taste of raisin and molasses. 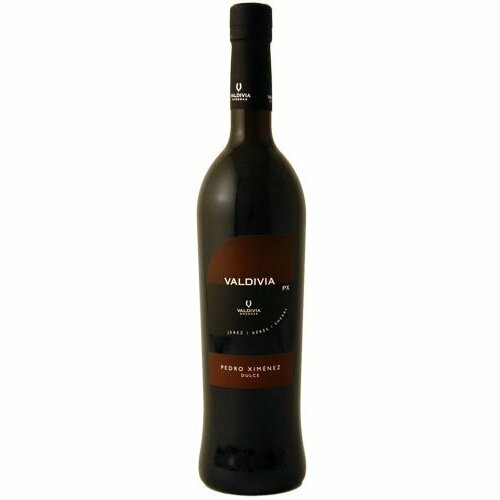 Pedro Ximenez grapes will be dried out on mats and then pressed to give the Sherry, rich, dried fruit flavors with a velvety texture.